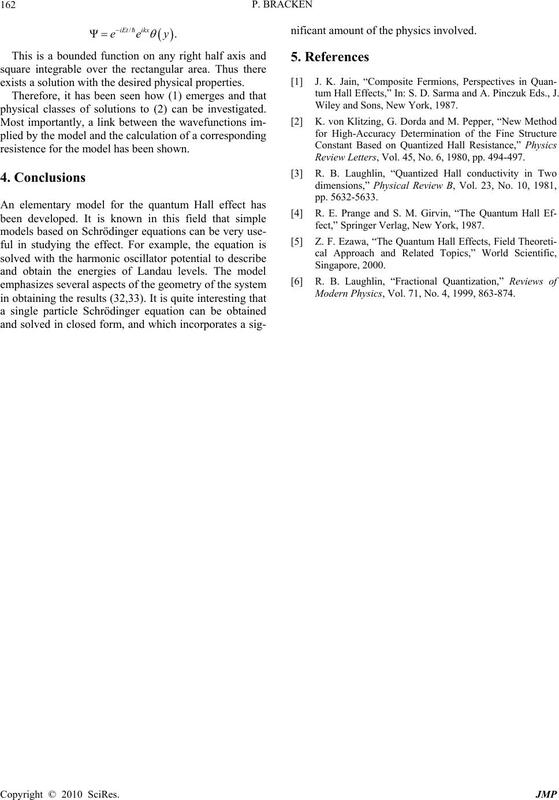 This conclusion is only possible in a planar geometry. 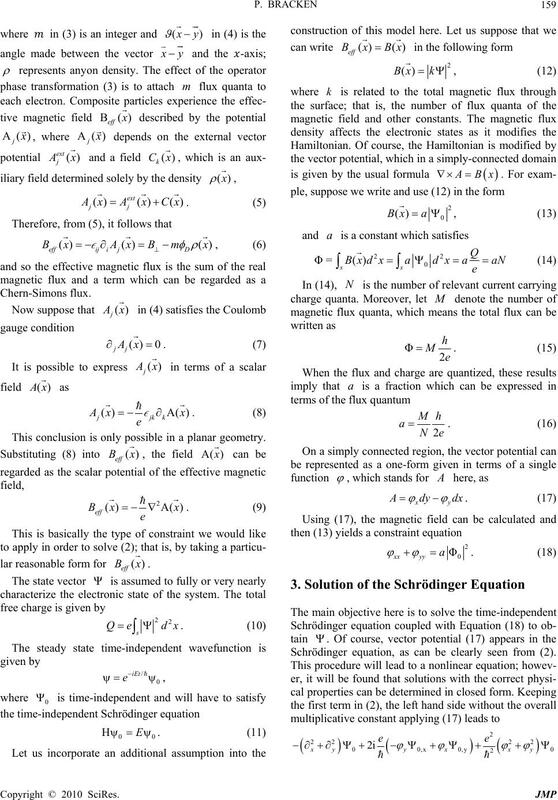 Schrödinger equation, as can be clearly seen from (2). which will lead to a physically relevant result. 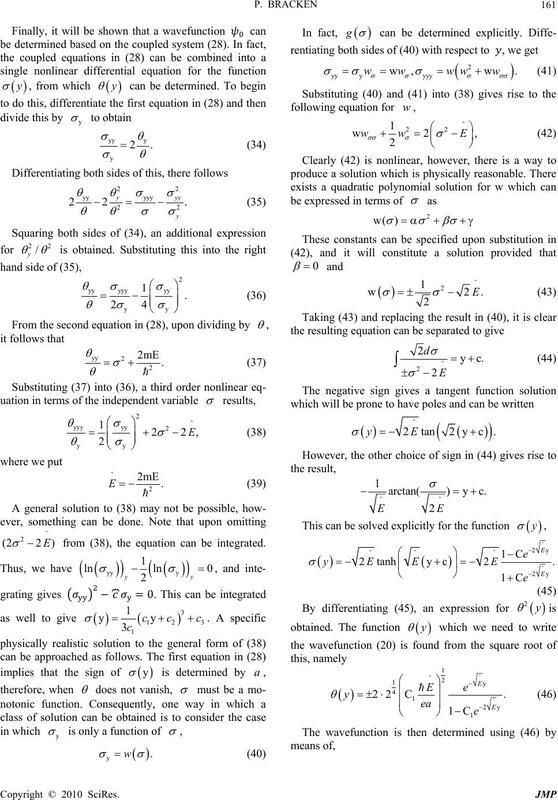 from (38), the equation can be integrated. exists a solution with the desired physical properties. physical classes of solutions to (2) can be investigated. resistence for the model has been shown. nificant amount of the physics involved. 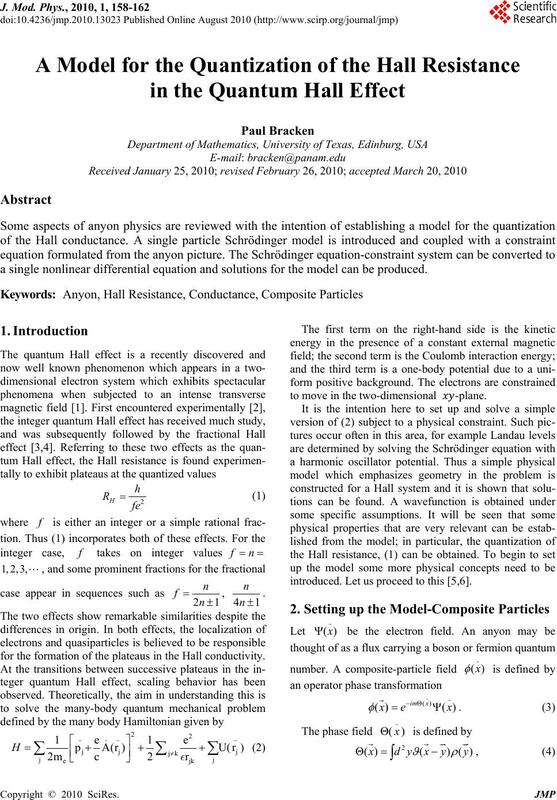 tum Hall Effects,” In: S. D. Sarma and A. Pinczuk Eds., J.
Wiley and Sons, New York, 1987.
Review Letters, Vol. 45, No. 6, 1980, pp. 494-497.
fect,” Springer Verlag, New York, 1987. 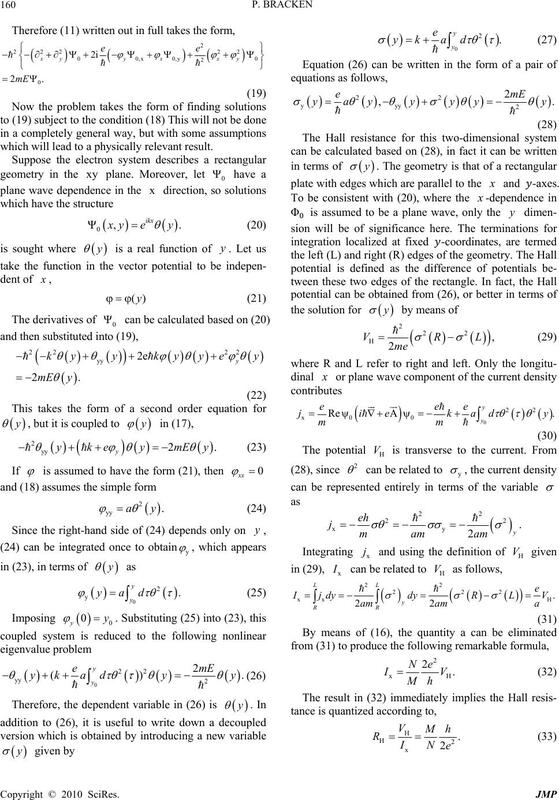 Modern Physics, Vol. 71, No. 4, 1999, 863-874.